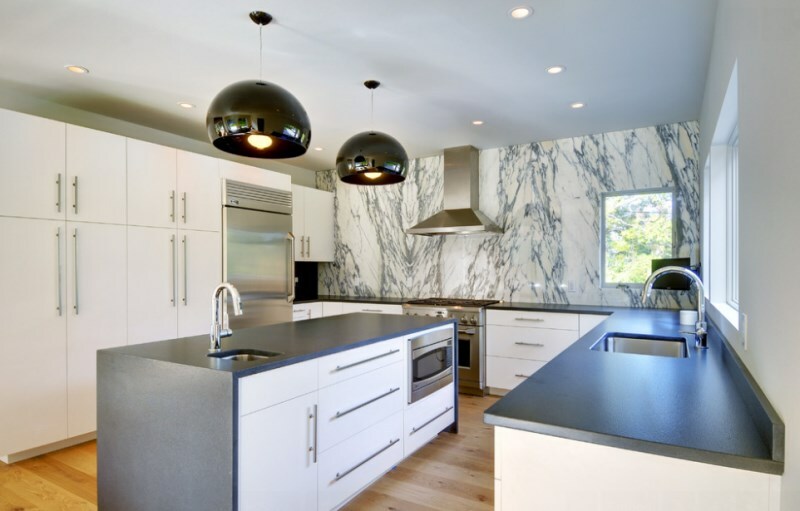 Design Blog Marble in the Home Granite, Marble or Travertine: Which Stone is Right for You? Whether your room is meant for work or play, when you design your space you want it to look absolutely perfect. This means choosing the right natural stone for your needs. In order to pick successfully, you have to get to know granite, marble, and travertine a little better. Granite, marble, and travertine all have their own benefits. From being heat resistant and perfect for high-traffic areas to simply having unmatched beauty. There are plenty of reasons to consider the pros and cons of different natural stones before starting your design project. Today we’re talking about which stone is right for you and your lifestyle/space, granite, marble, or travertine? Is Marble the Stone You’re Looking For? Marble is a timeless natural stone that was used in many famous structures, such as the Taj Mahal. Its appearance is unmistakable, with a smooth base and deep veining. Marble looks crisp, elegant, clean, and timeless. It is a hard, durable stone that can be used in high-traffic areas so long as it is well maintained over the years with regular sealing. This stone has many uses in the home, such as flooring, backsplashes, and most popularly in countertops. 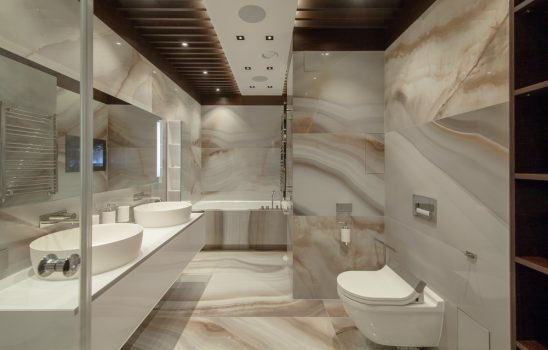 Marble has a luxurious appearance that makes it highly appealing to designers. Marble tile is considered to be high-maintenance in comparison to other natural stones. It is a porous stone which means it must be sealed to retain its appearance. This means you must wipe up spills immediately and avoid acidity on or around the counters so that they do not stain or etch. If you are looking for a stone is looks majestic, rustic, or classic and hold up in high-traffic areas, travertine is for you. Travertine is one of the oldest materials in the world. This stone gives a sense of prestige to any home in inhabits. Travertine is a highly durable stone, making it perfect for flooring. Unlike some other natural stones, the weathering effects of time give travertine a distinct, attractive appearance. That said, Travertine is a porous stone, which means you may decide to seal it to ensure it is protected from scratches and water damage. Travertine retains temperature and is easy to repair. If you’re looking for a durable, long-lasting tile that is aesthetically pleasing, look no further than granite. This stone comes in a wide array of colors and patterns, making it completely customizable for any space. Since granite is so durable, it can be used in counters, bathrooms, backsplashes, or floors without a second thought. Granite is also great for installing by the pool or on the porch since it will not fade under sun exposure. Like most other natural stones, sealing this stone regularly will help keep it looking lustrous and will protect it from damage. Marble is often associated with elegance, and a style that is old world or very classic in feel. However, even an extremely modern home can be complemented with marble, if you understand how to use it correctly. 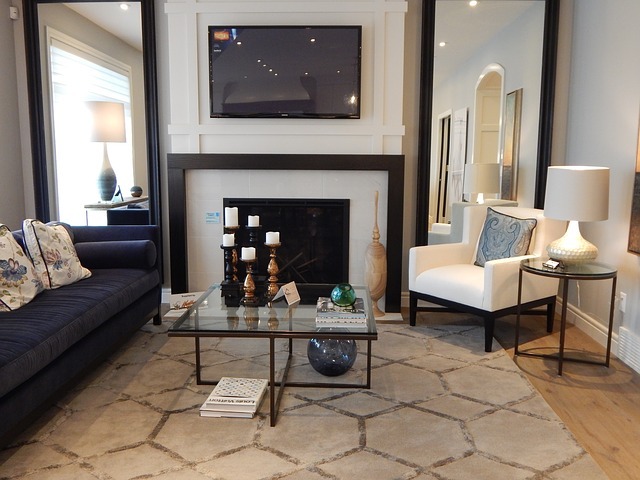 Here are some tips for creating a contemporary look in your home using marble.